I very rarely am able to shoot a session and blog it in the same day, but these are special circumstances, and I wanted to get just a few photos up right away. Anna & Rob’s maternity shoot was scheduled for this Thursday, until I got word that Anna’s contractions had been 8 minutes apart for over 24 hours already. So we decided to just get out and do it before it’s too late. We spent 2 hours wandering false creek through the labour pains and Anna never even complained once. These are two of the sweetest people you could ever meet, and I can’t wait to see them as parents. My thoughts are with them tonight as Anna paces the apartment in pain and Rob works his magic with the foot rubs. 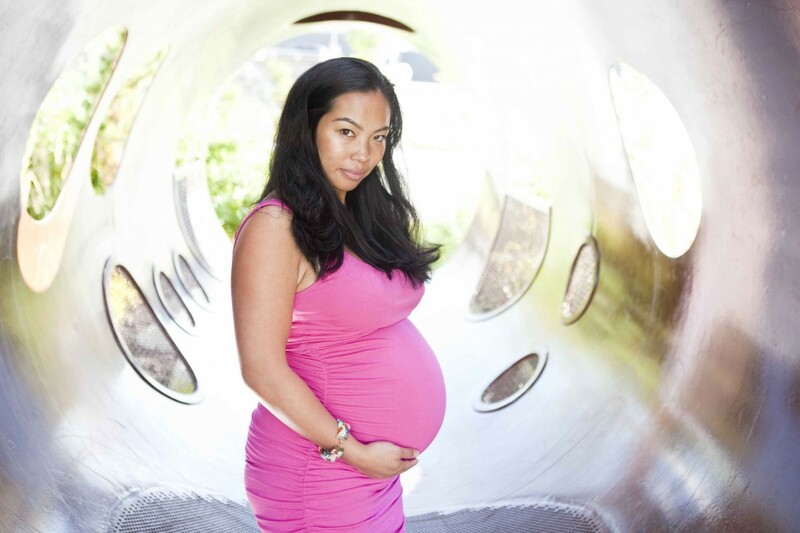 Looking at these photos you would never believe that this calm woman is in early labour. Can’t wait to meet the little one very very soon! What a great story Jana! Love that last image. Stunning! I love it!…Rob you’re great! Thanks for all the love you give to my niece Anna. I love you both more and more…and a lot more to my nugget APO…his LOLA Meng is a very proud LOLA…see you on the weekend….thanks! Update: Less than 20 hours after that last photo was taken, Anna gave birth to a healthy baby boy! Who needs spicy foods and acupuncture to speed up labour… how about a portrait session instead!